I got a ticket for the Canaletto exhibition. What possessed me? Too much money for the ticket, too much people in the gallery, too much bright, shiny detail in most of the paintings. 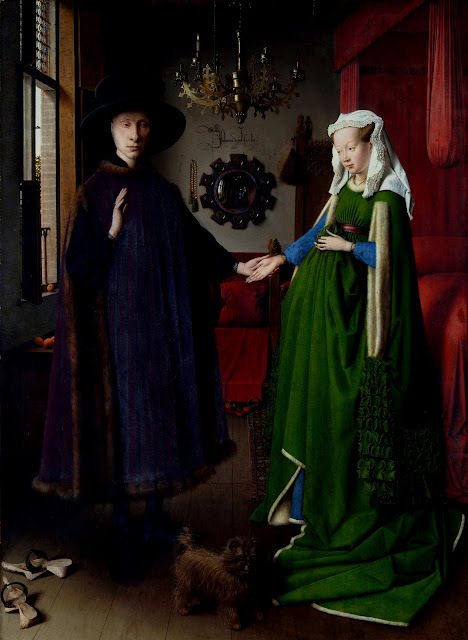 But redeemed because I had to wait an hour for my time-slot and therefore wandered and washed up in front of van Eyck's turbaned man, whose copy and reverberations I was looking at just the other day, and next to him, in a sublime small room, the Arnolfini Portrait. As though I'd never seen the latter famous painting before. The balance of light and space. Space held upwards and outwards by his upraised hand. 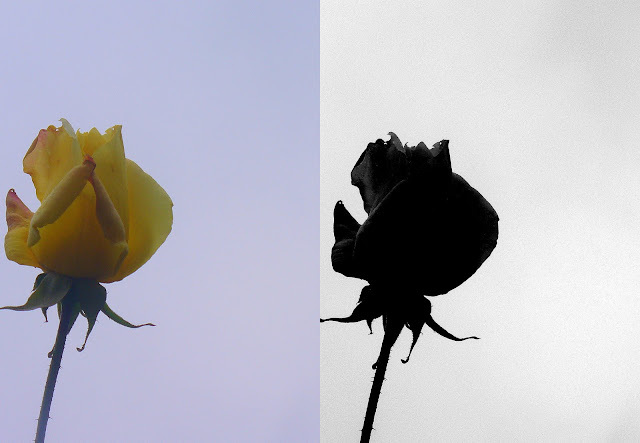 Light on their pale, northern faces. The weight of that central space that shifts downwards as you look, towards an apex in the white-hemmed lower folds of her gown. Gulping as the space falls inside me like the downward-shifting centre of gravity I sometimes feel at my core when I've been sitting in meditation for a while. This falling egg-shape full of light and space between the figures (actually not falling, but suspended - an illusion of falling just as in meditation I'm not falling, but only centring, settling). The egg, head, face... and pleasure crackles in my tensing and un-tensing jaw muscles like eating ice-cream on a hot day. 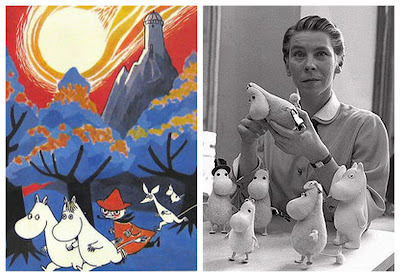 I never felt such extremes of aesthetic pleasure when I was younger. Might it keep getting more and more intense as I come to it with an increasingly heavy frame of age and experience, an increasingly visceral knowledge of the shape and texture of things? That is something to hope for and be curious about. The second edition of the >Language >Place blog carnival is online at Hong Kong writer Nicolette Wong's blog, Meditations in an Emergency. There's some great travel writing and musings on inner and outer places. Here in the renewed snow and alarmingly increasing cold, it feels like a particularly good time for vicarious journeys in the mind. After looking at art, I see lines and shapes and light with enhanced clarity and often find myself getting my camera out. This was the view from the entrance of Somerset House/Courtauld Gallery after seeing the Cezanne exhibition. Of Cezanne there is much more to say. At last week's conference at Westminister University on The Apocalypse and its Discontents, ﻿philosopher, novelist and blogger Will Buckingham gave a paper on Tove Jansson's novel for children of all ages, Comet in Moominland. 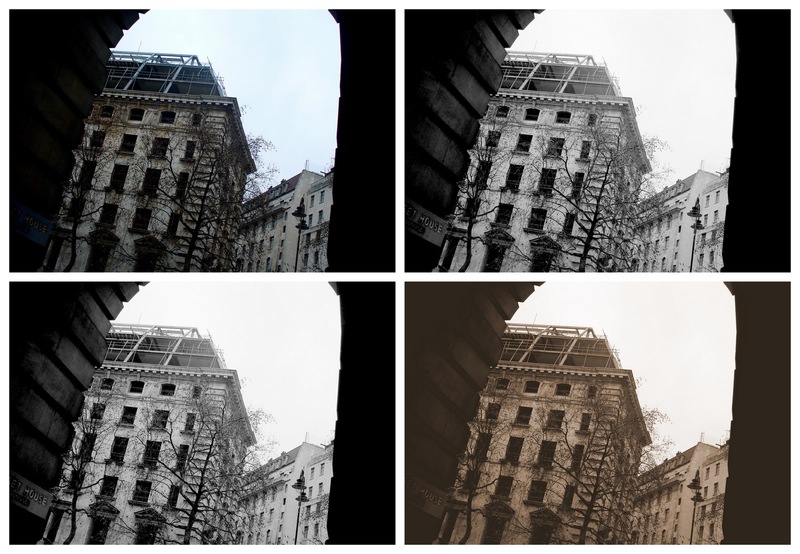 Will has posted an edited version of the paper on his blog, here: wondrous. 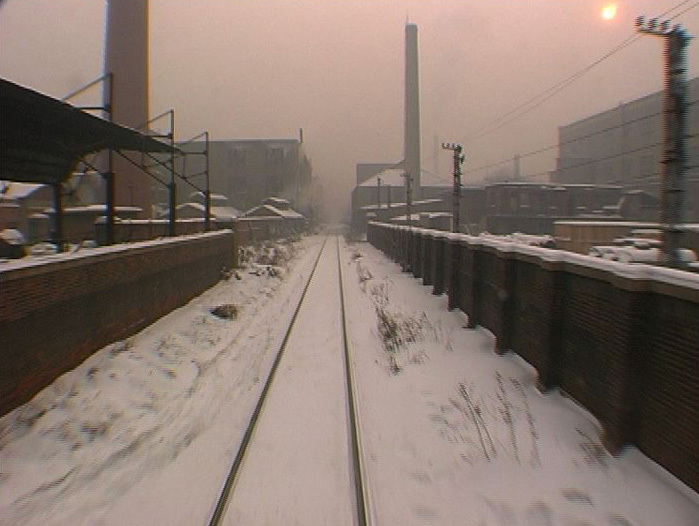 As the snow fell and settled and froze on London recently, I started watching Wang Bing's impressive nine-hour documentary film, shot a decade ago, much of it in snowy winters, in the decaying, emptying factories and surrounding communities of Tie Xi, the heavy industrial area of the city of Shandong which lies West of the Tracks. The long, long shots along the freight rail lines between the shells of factory hangars, unmaintained and fast becoming derelict, chilled my soul, already somewhat chilled. The stark, harsh beauty and humanity of the project were engaging and very moving. What a work! Nine hours of slow, sophisticated, often silent cinema. A gentle, epic view of the end of an era, with few pretensions and multiple aesthetic, narrative and political meanings. This was a pinnacle in my small explorations of contemporary Chinese film and literature begun since that big part of the world became real with my brief working trip to Shanghai last year. Of course, I could spend the rest of my life and not get to know even the fraction that's translated. 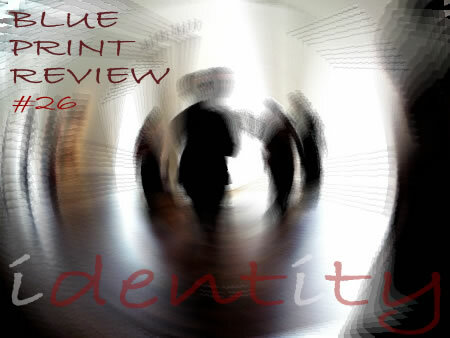 The new issue of BluePrintReview is on the theme of Identity (I love the cover image, above) and yo, on the first page there's a photo of mine, one of my absolute favourites, accompanying a poem by Michelle Hartman. Issue 26 is going live by stages, with the first three features out now. And it's quirky, endlessly allusive and beautiful, as always. 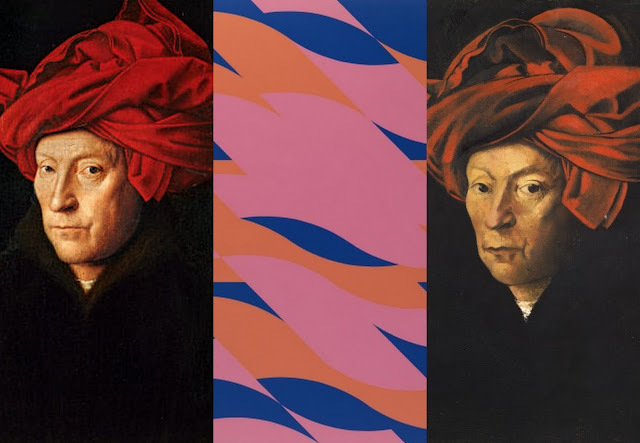 The second edition of the new >Language >Place blog carnival will go live around 15 December and submissions are welcome until this coming Friday 9 December. Following the treasure trove of November's first edition, contributor Nicolette Wong will be hosting the second at her blog, Meditations in an Emergency. Here are the carnival description and submission instructions. I love this project. Languages beyond my first have been my doorway into places in the mind and heart, as well as in the world. To celebrate the challenge and adventure of difference, change, newness, travel both inner and outer, and how deeply these continue to impact on many of us in spite of a political and economic system intent, it often seems, on imposing homogeneity and placelessness - this is important. Themes of place and language are a rich thread in many of the blogs I read. Contributions can be new or from your archives. The unaccustomed city silence during and after snowfall. The iron cold for which our houses and offices are often ill equiped, as they are for the heat of warming summers. The halting, shivering progress on streets slippery with ice. The ordinary drudge of every day rendered abruptly more difficult. If you feel already that the whole thing is almost beyond you, that you're holding on to the structures of a life with sliding fingertips, the unexpected burst of harsh weather provokes intense anxiety. The slide towards the edge speeds up, the camera tilts, image jagged and splitting, the thin veneer of normality suddenly too thin. For hours last night, snow dripped off the roof, front and back, keeping me awake. The steady dripping felt as if the house itself was melting - if I slept, I'd wake to find myself lying directly on the packed, grey snow. Groping in the chill air for words, each sentence a finger of a hand to grasp. 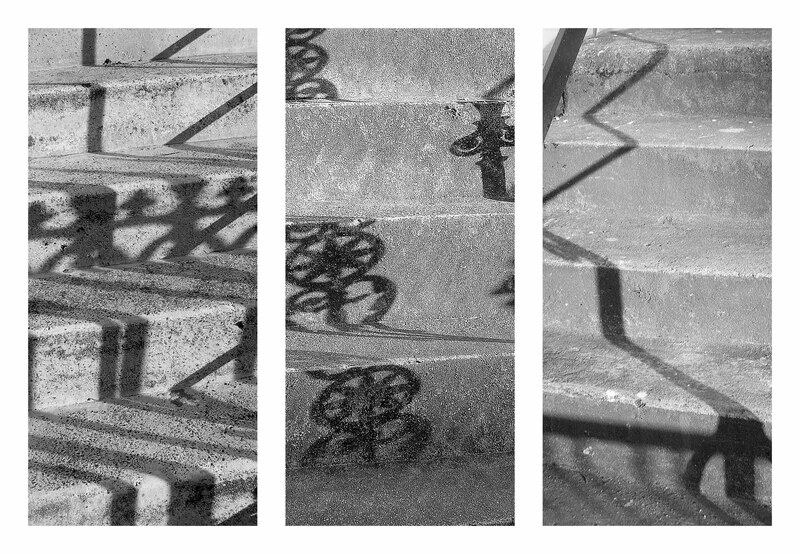 Managed to get in to work today, though all these steps which I photographed in a brief hour of sparkling sunshine last weekend remain covered with snow - reminding myself in the grey, icy cold that sunshine will return! A little snow is a lot of bother.